I can't remember finishing Taco Hell. Did that ever happen? He's got a nice sweater. I loved the name-that-dragon/gnome games. Theme ideas: alien, LEGO brick, robot. Another potentially easy series: shapes seen in the clouds. I also really liked the sketches you pulled out of your file from way back when. Yeah, I'm wondering about Taco Hell too, but all in good time. 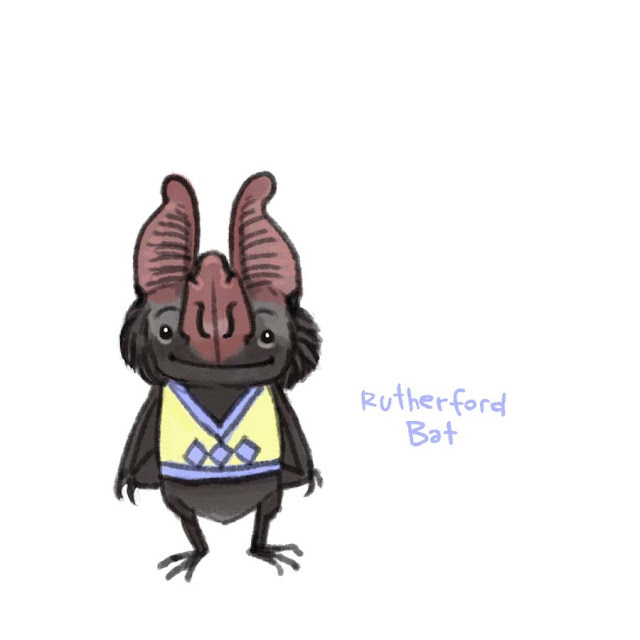 Is there any connection between Rutherford Bat are Rutherford B. Hales? Taco Hell! Taco Hell! Please! We're still in Taco Hell!